Welcome to the newest upscale boutique hotel in beautiful Orange Beach, Alabama. 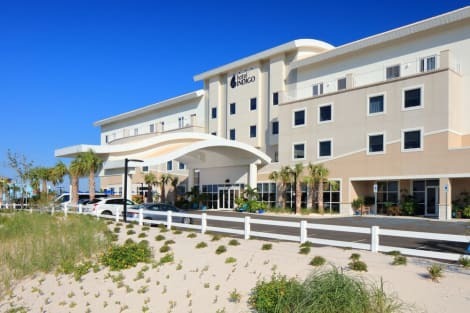 Hotel Indigo is located across the street from the beach; enjoy complimentary shuttle service to the Gulf State Park Pavilion for your day on the sugary white sands. Hotel Indigo Orange Beach has a distinctive nautical design and amenities expressing the history and culture of the Alabama Gulf Coast. The 62-room hotel is a one-of-a-kind luxury hotel with a focus on exemplary guest experience. Spacious guest rooms feature modern furnishings with a twist of bold color to reflect the blues of the adjacent Gulf of Mexico. Whether it's an afternoon stroll or bike ride in our neighborhood, the Hugh S Branyon Backcountry Trail offers the perfect adventure seeker experience with abundant wildlife. 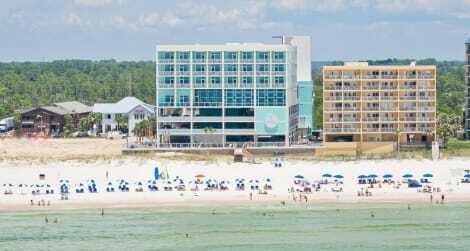 Hotel Indigo Orange Beach is conveniently located close to restaurants, souvenir shops, Tanger Outlet, OWA Amusement Park & Sports Center, Gulf Shores Sportsplex, Orange Beach Sportsplex, The Gulf State Park and the famous Flora-Bama Bar & Lounge. Make yourself at home in one of the 86 air-conditioned rooms featuring refrigerators and microwaves. Flat-screen televisions with satellite programming provide entertainment, while complimentary wireless Internet access keeps you connected. Private bathrooms with shower/tub combinations feature complimentary toiletries and hair dryers. Conveniences include safes and desks, as well as phones with free local calls. Take in breathtaking views of the Gulf of Mexico from your private balcony at the Island House Hotel Orange Beach - a DoubleTree by Hilton hotel. Our contemporary hotel is ideally located in the heart of Orange Beach, Alabama, close to popular attractions such as The Wharf and the Gulf State Park.Enjoy a freshly baked DoubleTree chocolate chip cookie upon arrival and settle into your comfortable guest room or suite. Each room features modern amenities including WiFi access and an HDTV. For a touch of luxury, upgrade to a suite and enjoy extra space in the separate living area. Suites also boast an additional bathroom, a microwave and an additional balcony off the master bedroom. For the ultimate indulgence, our corner suites offer a 100 sq. ft. private patio balcony.When you’re feeling hungry, visit our Island House Café and enjoy delicious grab and go items, made fresh for breakfast, lunch and dinner. Relax with drinks and snacks at the Sand Bar or order a meal from room service and watch the sun go down from your balcony.The hotel also features a fitness center, a heated outdoor pool and a wading pool for children. Enjoy a game of volleyball on one of the beach volleyball courts or ask a member of staff about our great golf packages.Professional meeting and event space is available for a variety of events with up to 400 guests. Satisfy your appetite for dinner at Garden Grille, a restaurant which specializes in American cuisine, or stay in and take advantage of the room service (during limited hours). Relax with your favorite drink at the bar/lounge or the poolside bar. Full breakfasts are available daily from 6 AM to 10 AM for a fee. 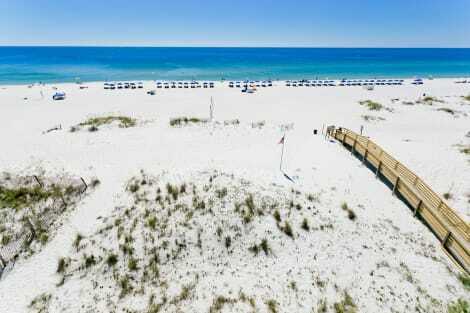 lastminute.com has a fantastic range of hotels in Orange Beach, with everything from cheap hotels to luxurious five star accommodation available. We like to live up to our last minute name so remember you can book any one of our excellent Orange Beach hotels up until midnight and stay the same night.